The Bank of Japan’s push into ever-bolder monetary policy risks diminishing returns. With inflation and growth moribund despite epic bond-buying and subzero interest rates, the central bank is reaching for increasingly radical policy tools. Buying up far more equities in the form of exchange-traded funds (ETFs) could be one way to give markets a fresh boost. Governor Haruhiko Kuroda has made it clear that buying more stock funds could be on the menu at the BOJ’s next meeting, which begins on April 26. With interest rates already so low, the central bank has to find direct ways to lower the cost of funding for risky endeavours. Last week Kuroda told parliament the bank wasn’t too big in ETFs, and there were still plenty of reasons to target risk premiums. The first part is right. The BOJ has been buying ETFs since 2010 and already owns a large chunk of the market. But ETF specialists can easily create more of them. HSBC economists think the central bank could up its spending by 10 trillion yen ($90 billion) a year, from 3.3 trillion yen at the moment. That would be a significant sum even for Tokyo’s 517-trillion-yen main board. A rally would in turn lift animal spirits, and thus consumption. Even though direct ownership of stocks is limited, Japanese consumer confidence tends to rise and fall with the market. But there are problems. Some fret that buying stocks further undermines the central bank’s independence from government. Compared with bonds, an eventual exit strategy is even harder to envisage, since shares never have to be repaid. Buying ETFs rather than actual stocks prevents the BOJ from getting directly involved in the governance of Japanese companies. But even targeting funds that favour particular types of firms drags the central bank into small-scale decisions about resource allocation. The bigger objection is that while higher stock prices lower the cost of equity financing, debt is dirt-cheap, and cash is plentiful. Japanese bosses are probably not putting off big decisions for want of slightly cheaper equity. So what looks like a radical move may be partly just about demonstrating that the central bank is not out of ammunition. Bank of Japan Governor Haruhiko Kuroda said on April 20 the central bank’s presence in the exchange-traded fund market was not “too big”, signalling that topping up purchases of ETFs could be a real, near-term option. The BOJ buys ETFs as part of its massive stimulus programme. It held about 7.8 trillion yen ($71.6 billion) as of September, roughly half the size of Japan’s ETF market. “I don’t think the BOJ’s presence in the (ETF) market is too big,” Kuroda told parliament, adding that new ETFs can be cobbled together “as much as possible” with listed stocks in the Tokyo Stock Exchange’s 500-trillion-yen market. “There continues to be plenty of reason to affect risk premium of asset prices,” Kuroda said. 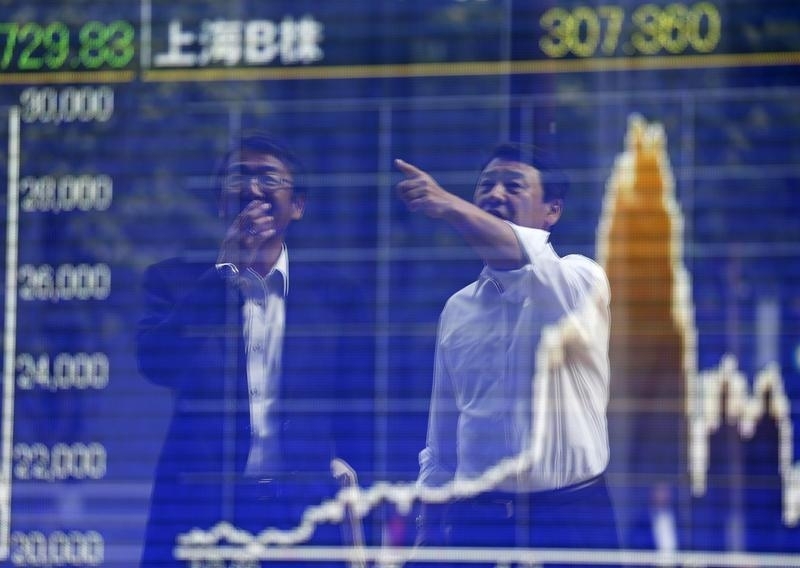 On April 15 Reuters, citing sources familiar with the BOJ’s thinking, reported that central bank officials were growing more receptive to stepping up monetary easing by buying more stock ETFs. The BOJ’s next monetary policy meeting is on April 27 to April 28.